DBSCCG will be introducing Blocks from Series 3! Series 3 and 4 will make up the Over Realm Block!! Rise to the top with your cross-dimensional champions!! Check out the Deck Expansion Set, which includes a sturdy deck box and a set of awesome new cards!! EXPANSION DECK BOX SET 02-Dark Demon’s Villains- will introduce the first incomers from the Over Realm Block! 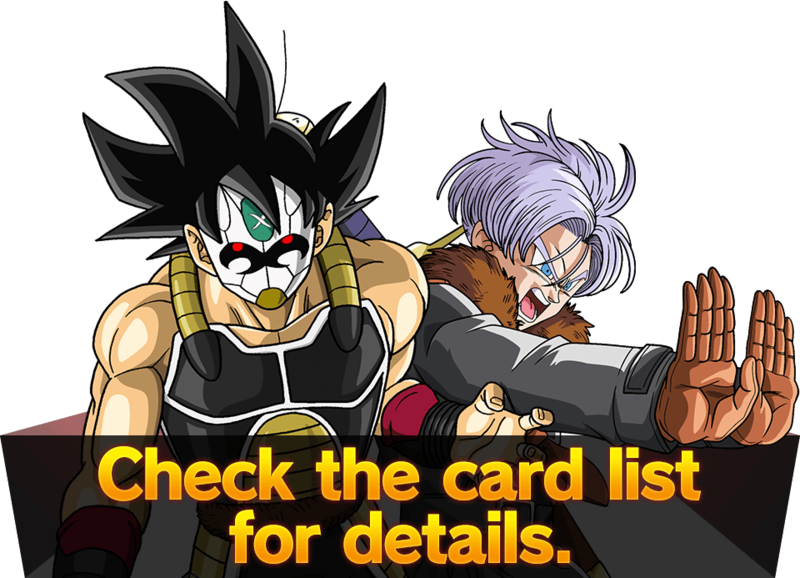 Summon these vile villains from other dimensions to obliterate your opponent! 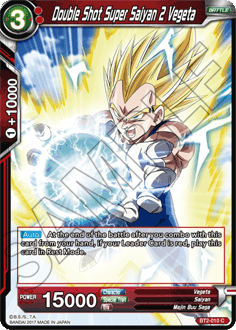 Leap into battle with your powered-up deck!! These new black cards of this product have no specified costs! The perfect warriors for any deck!! 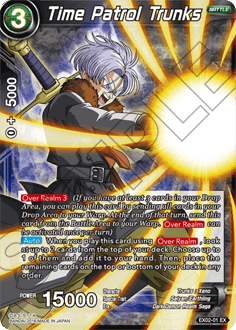 Check out the all-new keyword-skill [Over Realm]!! 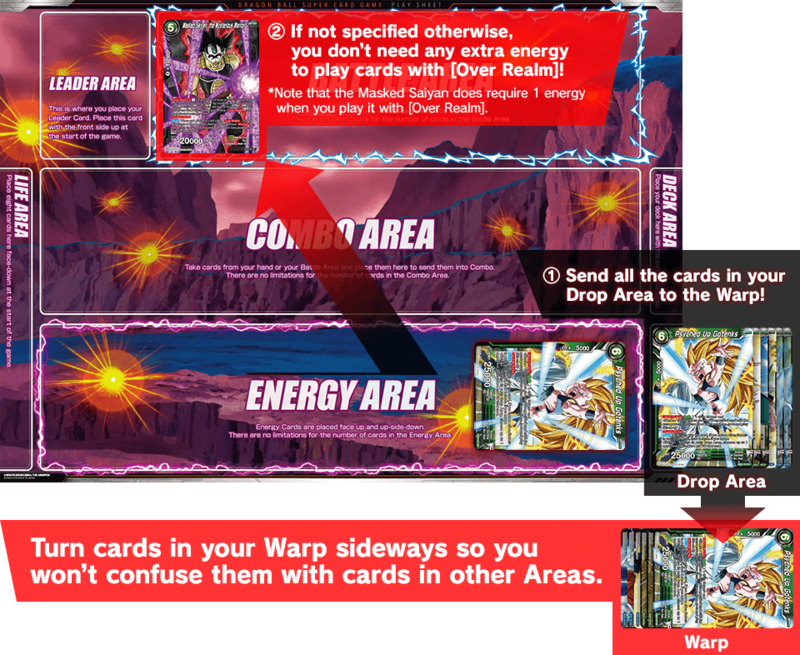 Over Realm is a skill that allows you to play cards at greatly reduced costs by sending cards in your Drop Area to the Warp! 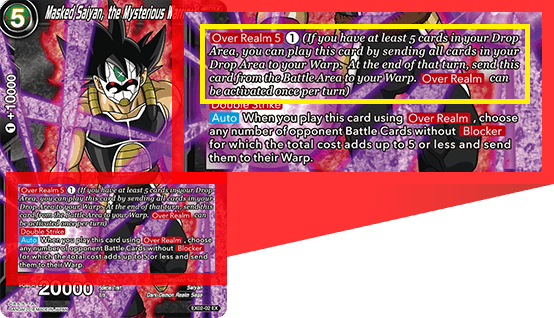 Add these new Over Realm cards to your deck and blow away your opponent!! 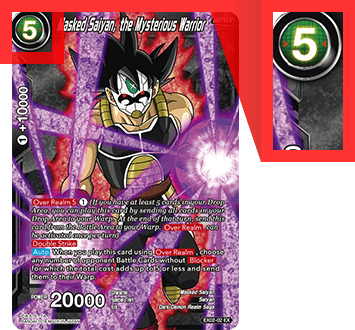 Black cards can slot into any deck, making many of them good one-offs!Try adding a splash of black to your deck, and see if it helps your gameplan! Clear the way with a blitzkrieg! 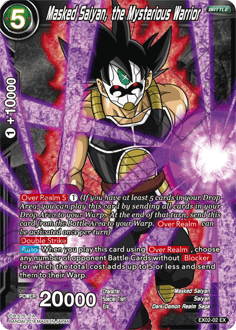 By using the new Over Realm skill, you can play this card for only 1 energy! It also packs Double Strike and destroys your opponent’s cards when played, making it the perfect choice for aggro decks in search of new options! 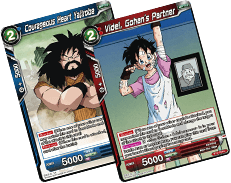 Series 2 has lots of cards that can be played after being used in a combo. Give yourself as many attackers as possible, then go all in! Catch your opponents by surprise! Use Over Realm, and you can play this card for free! 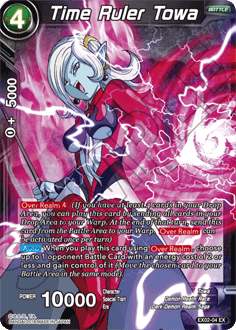 Series 2 includes a lot of pesky 2-cost blockers and conditional free cards, but Towa allows you to take control of your opponent’s cards, crush their strategy, and seize victory! A must-have in any deck. 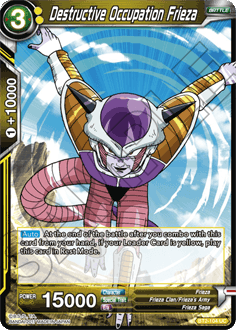 Play Time Patrol Trunks via Over Realm, and you can draw two cards, choosing one to place on the top or bottom of your deck! And with 15,000 power, he’s an efficient attacker as well! With this much versatility, you’ll want to play him in all kinds of decks!